The Syria-based division of the Turkistan Islamic Party (TIP) featured a Canadian among its foreign fighters urging Muslims to emigrate from the West and defending their presence in the country. 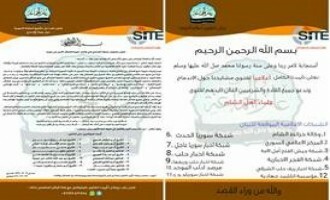 Rebel groups operating in Syria criticized the fatwa issued by prominent Islamic scholars calling for a merger among the Syrian rebel groups which was allegedly signed by Ahrar al-Sham, Jabhat Fateh al-Sham (JFS), Ajnad al-Sham, Noor al-Dine al-Zanki, Turkistan Islamic Party (TIP) and others. 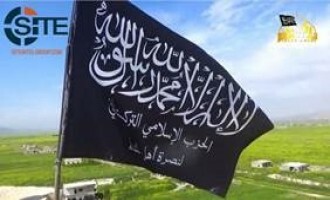 Jabhat Fateh al-Sham, Ahrar al-Sham Islamic Movement, Faylaq al-Sham, Turkistan Islamic Party (TIP), and other Syrian rebel factions announced the launch of operation al-Ashoura in Mount al-Akrad in the countryside of Latakkia, and claimed “liberating” various villages from the Syrian regime. The Syria division of the Turkistan Islamic Party (TIP) released a video on its celebrations for Eid al-Adha, showing gun-toting children, male and female, and fighters in the battlefield. Jabhat Fateh al-Sham issued a eulogy for one of its commanders, Abu Umar Saraqib, who was killed in an airstrike at the military operations room of the Jaish al-Fateh rebel coalition in Aleppo, Syria. Al-Qaeda leader Ayman al-Zawahiri addressed Muslims in the Xinjiang Uyghur Autonomous Region of northwestern China in the ninth episode of his “Islamic Spring” series, promoting their cause and urging them to have patience amidst the “long battle” with the “atheist Chinese occupiers”. 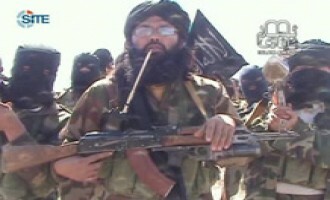 Abdul Haq, the leader of the Turkistan Islamic Party (TIP), rejected the "Caliphate" announced by the Islamic State (IS) and explained the reasons for the downfall of the Islamic Movement of Uzbekistan (IMU) in an audio interview. The Syria division of the Turkistan Islamic Party (TIP) called for a general mobilization in a video entitled “Avenging Aleppo,” which showed footage of the aftermath of the Russian airstrikes and the recent battles in the region. The Syria division of the Turkistan Islamic Party (TIP) released a video on the recent takeovers of al-Khalidiyah and Khan Touman, two villages in northern Aleppo. The Syria division of the Turkistan Islamic Party (TIP) reported that its fighters participated with those from the Nusra Front and Jund al-Aqsa in liberating Khan Touman and other locations in southern Aleppo. The Syria division of the Turkistan Islamic Party (TIP) released a video on capturing Khirbat al-Naqus in Hama governorate, after earlier claiming a joint attack with Jund al-Aqsa on the village, and publishing a clip of a suicide bombing on a nearby bridge. The Syria division of the Turkistan Islamic Party (TIP) released a video on capturing the al-Mansoura grain silos in Sahl al-Ghab, featuring in one segment the use of a remote controlled armor-plated VBIED. The Syria division of the Turkistan Islamic Party (TIP) claimed a joint attack with Jund al-Aqsa on Khirbat al-Naqus village in Sahl al-Ghab (Hama governorate), and published a video of a suicide bombing by a Uyyghur fighter. The Syria division of the Turkistan Islamic Party (TIP) released a video slideshow of “rare” photographs of fighters and children in training, classroom, and other settings. The Syria division of the Turkistan Islamic Party (TIP) released the third episode in its video series, “And There is No Victory Except From Allah the Almighty,” featuring operations by the group in the area of Jeb al-Ahmar in Lattakia. The Syria division of the Turkistan Islamic Party (TIP) released the second episode in its video series “And There is No Victory Except From Allah the Almighty,” featuring operations by the group in the area of Sahl al-Ghab in Hama. The Syria branch of the Turkistan Islamic Party (TIP) released a visual chant honoring its dead fighters and promoting “martyrdom” in battle. The Turkistan Islamic Party (TIP) released the 18th issue of its magazine, Islamic Turkistan, through the Global Islamic Media Front (GIMF). 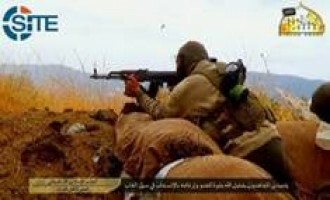 The Syria division of the Turkistan Islamic Party (TIP) released a photo report showing clashes against regime forces in the Sahal al-Ghab region of Homs. The report was released on November 12, 2015 by the Global Islamic Media Front (GIMF) on Telegram and Twitter, and stated that the group had also battled Russian forces in the area. Copies of selected pictures and translations of their captions follow. The mujahideen destroyed a car mounted on top a 23[MM] machine gun for the Nusayri army in al-Ghab valley. 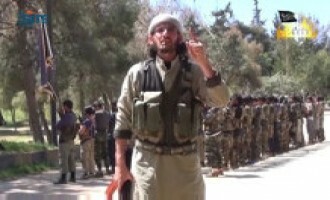 Our mujahideen brothers are repelling strongly the Nusayri army and before them were the Russians in al-Ghab valley. The Syria division of the Turkistan Islamic Party (TIP) released a second video on its fighters’ participation in recent battles in the area of Sahl al-Ghab in Hama. The Syria division of the Turkistan Islamic Party (TIP) released a video on its fighters’ participation in recent battles in the area of Sahl al-Ghab in Hama. The Syria division of the Turkistan Islamic Party (TIP) released a video on its joint operation with the Nusra Front to capture the Abu Duhur Air Base in Idlib. 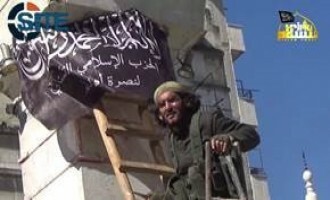 The Syria division of the Turkistan Islamic Party (TIP) claimed having a role in the capture of the Abu Duhur Air Base in Idlib, and provided photos of fighters in the base, posing with its banner atop a plane, and standing with captives. The Syria division of the Turkistan Islamic Party (TIP) claimed liberating four areas in Idlib governorate, and noted that group representatives met with their counterparts in Jaish al-Fath and Jund al-Aqsa. The Turkistan Islamic Party (TIP) thanked the Shabaab al-Mujahideen Movement for damaging the Chinese embassy in a suicide bombing at the Jazeera Palace Hotel in the Somali capital, Mogadishu. The Syria division of the Turkistan Islamic Party (TIP) released the eighth episode in its video photo album series, featuring in this installment a segment showing young boys in a training camp. 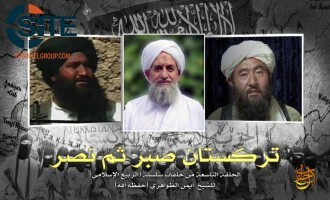 The Turkistan Islamic Party (TIP) released a visual speech from its leader, Abdul Haq Damollam, congratulating an attack in Zawa township of Hotan prefecture in China’s Xinjiang region, and calling on Uyghurs to either immigrate to jihadi battlefields or remain where they are and kill “Chinese infidels”. The Syria division of the Turkistan Islamic Party (TIP) released a video on its participation in the fighting in Jisr al-Shughour in Idlib. 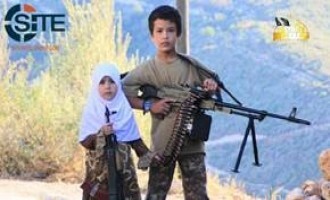 The Turkistan Islamic Party (TIP) published a photo set showing scenes from what appears to be a training camp for children, with young boys and a girl sitting with guns and heavy weapons. The Syria division of the Turkistan Islamic Party (TIP) released a video sideshow of pictures of its fighters, male and female, and what appears to be a training camp for children. A division of the Turkistan Islamic Party (TIP) in Syria released a video promoting its cause and calling for support. 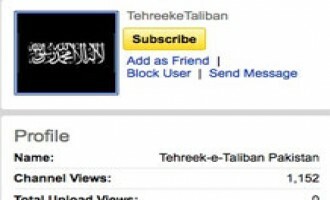 The Turkistan Islamic Party (TIP) claimed credit for the April 30, 2014, suicide bombings at a railway station in Urumqi in China's Xinjiang region, and showed in a video the construction of a briefcase bomb used in the attack. Abdullah Mansour, the leader of the Turkistan Islamic Party (TIP), gave condolences for the death of former Islamic Emirate of the Caucasus (IEC) leader Doku Umarov and expressed solidarity with Chechen fighters. Burmese jihadi ideologue Abu Dher Azzam incited Uyghur Muslims to support the Turkistan Islamic Party (TIP) and jihad in Burma. 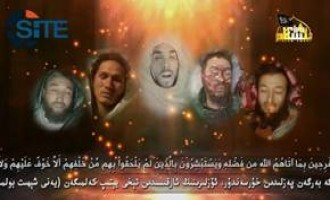 The Turkistan Islamic Party (TIP) released a video focusing on the deadly knife attack at the Kunming railway station in Yunnan, China, on March 1, 2014, and called it an "expensive offer" to the Chinese government to reconsider its "cruel" policies in East Turkistan. 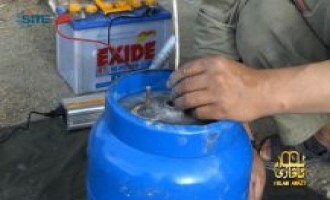 The Turkistan Islamic Party (TIP) demonstrated how to prepare a gasoline mine in the twelfth episode of its weapons training video series, "Express Mail of the Mujahideen of Turkistan". 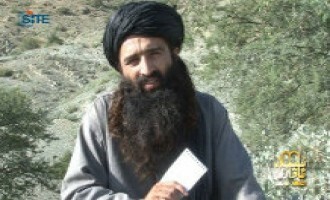 The Turkistan Islamic Party (TIP) released a video showing scenes from its attacks in the Afghanistan-Pakistan region, including a suicide bombing by a Turkish fighter, and mourning a slain official, Abdul Aziz. 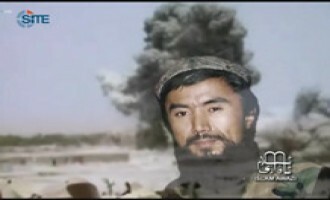 The Turkistan Islamic Party (TIP) released a Uyghur audio speech from its leader, Abdullah Mansour, calling the October 28, 2013, incident at Tiananmen Square in Beijing a "jihadi operation" and its executors "mujahideen". The Turkistan Islamic Party (TIP) demonstrated how to use a RPG-7, a shoulder-fired, anti-tank rocket-propelled grenade launcher, in the eighth episode of its weapons training video series, "Express Mail of the Mujahideen of Turkistan". The Turkistan Islamic Party (TIP) demonstrated how to use a Dragunov SVD sniper rifle in the seventh episode of its weapons training video series, "Express Mail of the Mujahideen of Turkistan". The Turkistan Islamic Party (TIP) released the sixth episode in its weapons training video series, "Express Mail of the Mujahideen of Turkistan," showing how to use a PK Kalashnikov machine gun. 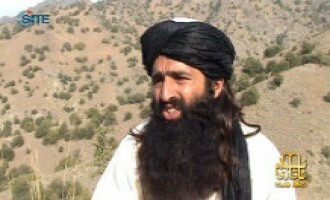 The Turkistan Islamic Party (TIP), published an article in the latest edition of its e-magazine, “Islamic Turkistan,” in which jihadi scholar Abu Dher Azzam praised the Tsarnaev brothers and called on Muslims to raise their children to carry out similar acts of terrorism against nonbelievers. The Turkistan Islamic Party (TIP) released the 13th issue of its Arabic e-magazine "Islamic Turkistan," and in its introduction, incited against Chinese President Xi Jinping, charging that he will be no different to Uyghurs than his predecessor. The Turkistan Islamic Party (TIP) released a posthumous video of a Turkish-speaking suicide bomber calling upon Muslims in Turkey to travel to the jihadi battlefields and seek "martyrdom". 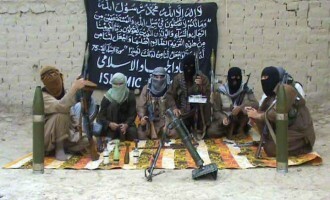 The Turkistan Islamic Party (TIP) claimed responsibility for the April 23, 2013, attack in the city of Kashgar of China's Xinjiang Uyghur Autonomous Region in which 15 community workers and police officers were killed. The Turkistan Islamic Party (TIP) released a sermon from a Turkish fighter, Ebu Muhammed Turki, regarding sacrificial animals for Eid al-Adha and the proper behavior a Muslim should have to gain acceptance into Paradise. The Turkistan Islamic Party (TIP) released a Turkish video promoting jihad and showing a suicide bombing in Afghanistan. The Turkistan Islamic Party (TIP) called Turkish Muslims to come to the battlefields and strive for "Paradise" in a video promoting jihad. 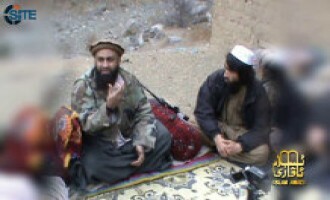 The Turkistan Islamic Party (TIP) released a posthumous video of al-Qaeda religious scholar Khalid bin Abdul Rahman al-Husainan promoting jihad and patience to Uyghur Muslims in Xinjiang province of China. 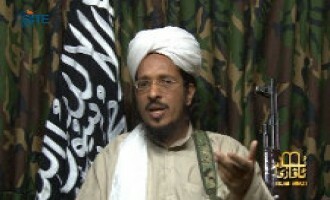 Yassin Chouka (AKA Abu Ibraheem al-Almani), a German spokesman for the Islamic Movement of Uzbekistan (IMU), praised Millatu-Ibrahim officials Mohamed Mahmoud (Abu Usama al-Gharib) and Denis Mamdou Cuspert (Abu Talha al-Almani) and gave them advice in an audio speech released by the Turkistan Islamic Party (TIP). The Turkistan Islamic Party (TIP) released the first episode in a new series of videos showing "rare" photos of its fighters and their training. The Turkistan Islamic Party (TIP) published in the twelfth issue of its Arabic e-magazine, "Islamic Turkistan," a posthumous article by Abu Yahya al-Libi advising the group's fighters about the necessity of unity and obeying their oaths. 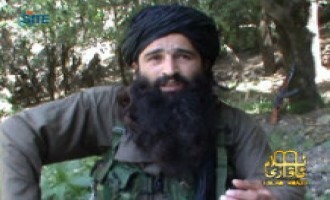 The Turkistan Islamic Party (TIP) released a video showing training exercises and military operations of Turkish fighters in Afghanistan, and in one segment, focuses on a Turkish suicide bomber. The Turkistan Islamic Party (TIP) released the twelfth issue of its Arabic-language e-magazine, "Islamic Turkistan," on jihadist forums on February 17, 2013, and in the introduction, expressed its support for Sunni Muslims fighting the Bashar al-Assad regime in Syria. 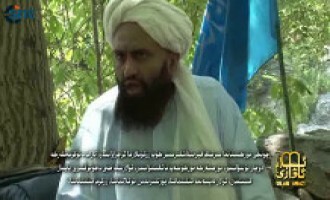 Khalid bin Abdul Rahman al-Husainan, a now-deceased al-Qaeda religious scholar, urged Muslims to support Uyghurs in Xinjiang province of China, in a posthumous lecture featured in a video by the Turkistan Islamic Party (TIP). The Turkistan Islamic Party (TIP) released a video of one of its officials, Abdul Aziz, praising Chechen fighters and Islamic Emirate of the Caucasus (IEC) leader Doku Umarov, and giving them advice. The Turkistan Islamic Party (TIP) showed the religious education and military training of children in its camps in the fifth episode in its video series "The Travels of the Believers." The Turkistan Islamic Party (TIP) released the fourth episode in its video series "The Travels of the Believers," showing military operations and training exercises of its male and female fighters. The Turkistan Islamic Party (TIP) released a video from a Turkish fighter urging Muslims in Turkey to contribute to jihad by donating money, and calling upon those already making financial contributions to continue doing so on a "regular basis". The Turkistan Islamic Party (TIP) released the eleventh issue of its Arabic-language e-magazine, "Islamic Turkistan," on jihadist forums on October 13, 2012. The Turkistan Islamic Party (TIP) released a video of a fighter advising Muslims in Xinjiang province (East Turkistan) to beware China's alleged tricks to make them abandon their Islam. 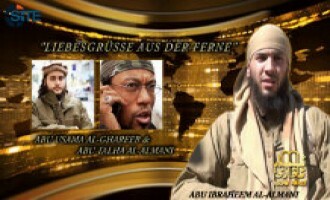 The Turkistan Islamic Party (TIP) released the tenth issue of its Arabic-language e-magazine, "Islamic Turkistan," on jihadist forums on April 22, 2012. 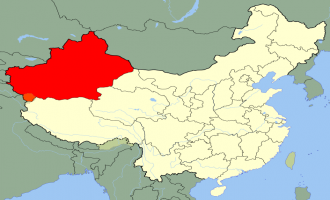 The Turkistan Islamic Part (TIP), a jihadist faction based in Xinjiang province of northwest China, expressed its defiance to the Chinese government's issuance of its third terrorist list. The Turkistan Islamic Party (TIP) released the second episode in its video series, "The Travels of the Believers," which focuses on the daily activities of its fighters. The Turkistan Islamic Party (TIP) released a Uyghur-language video focusing on the daily activities of its fighters, and showing a market in which the fighters may purchase provisions and weapons. 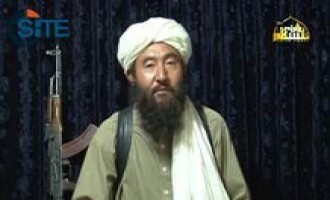 The Turkistan Islamic Party (TIP) released a video version of its leader's statement regarding the series of knife and bomb attacks that took place in the cities of Hotan and Kashgar in Xinjiang province of China in July 2011. 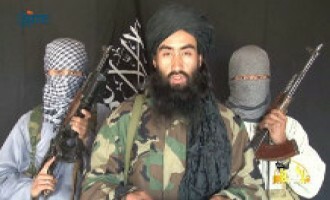 The Turkistan Islamic Party (TIP) released a statement from its leader, Abdul Shakoor Damla, regarding the series of knife and bomb attacks that took place in the cities of Hotan and Kashgar in Xinjiang province of China in July 2011. 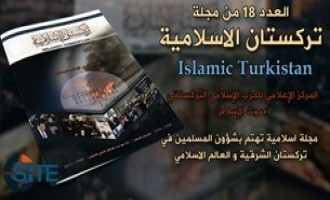 The Turkistan Islamic Party (TIP) released the ninth issue of its Arabic-language e-magazine, "Islamic Turkistan," on jihadist forums on August 13, 2011. 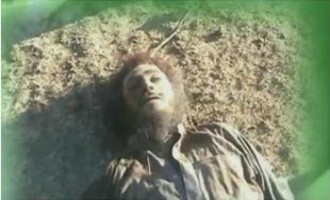 The Karachi wing of a group calling itself the “Tawhid Brigades” claimed responsibility for the murder of Sayyid Mukhtar Abbas, a lawyer who say worked for the Shi’ite militant group Sipah-e-Muhammad. The Turkistan Islamic Party (TIP) released an Arabic-dubbed video biography of a slain TIP co-founder, Yusuf Qadir Khan AKA Sheikh Bilal. The Turkistan Islamic Party (TIP) released a Chinese-language video message addressed to the people of China, explaining the conflict between Uyghur separatists and the Chinese government and justifying the group’s jihad. 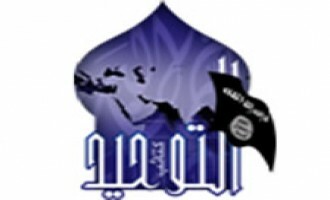 The Turkistan Islamic Party (TIP) released the eighth issue of its Arabic-language e-magazine, “Islamic Turkistan,” on jihadist forums on March 2, 2011. The Turkistan Islamic Party (TIP) issued a Turkish-language video focusing on two slain Turkish fighters, Ahmet and Usame al-Kurdi. 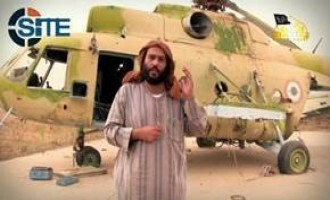 The 52 minute, 23 second video was posted on jihadist forums on December 6, 2010, and is the fourth entry in TIP’s “Lovers of Paradise” series. 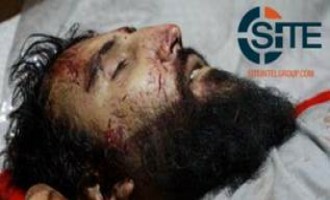 The Jihad Media Information Center announced the deaths of three fighters and published their pictures in two Turkish-language posts on its website on November 3 and November 8, 2010. 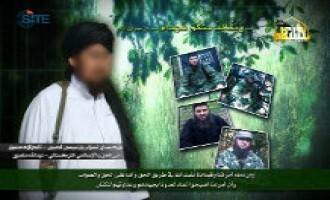 Sixth Issue of TIP Magazine, "Islamic Turkistan"
The Turkistan Islamic Party (TIP) released the sixth issue of its Arabic-language e-magazine, “Islamic Turkistan,” on jihadist forums on July 13, 2010. Several disquieting trends converged in New York City’s fabled Times Square entertainment district on Saturday evening, May 1st, 2010. 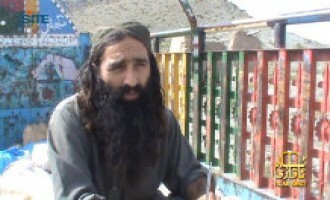 First, a foreign terrorist group with a hitherto local agenda and otherwise parochial aims once again is believed to have stretched its wings and sought to operate on a broader, more ambitious global canvas. Second, the conventional wisdom, which long held that the threat to the U.S. was primarily external and involved foreigners coming from overseas to kill Americans in this country (as had occurred on September 11th 2001) again has been shattered. 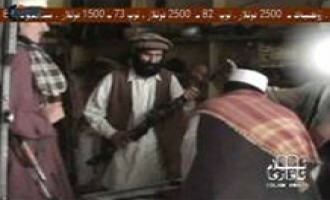 The Turkistan Islamic Party (TIP), a Uyghur-speaking jihadist organization based in the Xinjiang province of northwest China, has entered the jihadist mainstream by virtue of its association with al-Fajr Media Center, a virtual jihadist organization that distributes propaganda for al-Qaeda-linked groups and al-Qaeda leadership . In 2008 and proceeding years, TIP operated a website under a constant threat of closure reaching a narrow audience. The pre-eminent threat to the Beijing Olympics stems from the East Turkistan Islamic Movement (ETIM) located in the Federally Administered Tribal Area (FATA) of Pakistan. ETIM headquarters is located in Mir Ali, North Waziristan, FATA, along the 1520 mile long rugged border separating Afghanistan and Pakistan.